San Francisco Giants third baseman Pablo Sandoval wore these black and orange batting gloves during Game 3 of the 2014 World Series against the Kansas City Royals at AT&T Park. The Giants fell to the Royals 3-2 in Game 3, but they would come back and win the World Series with a 3-2 win of their own in Game 7. Sandoval, a three-time World Series champion, hit .429 in the World Series after hitting .500 and winning the World Series MVP award in the 2012 Fall Classic. 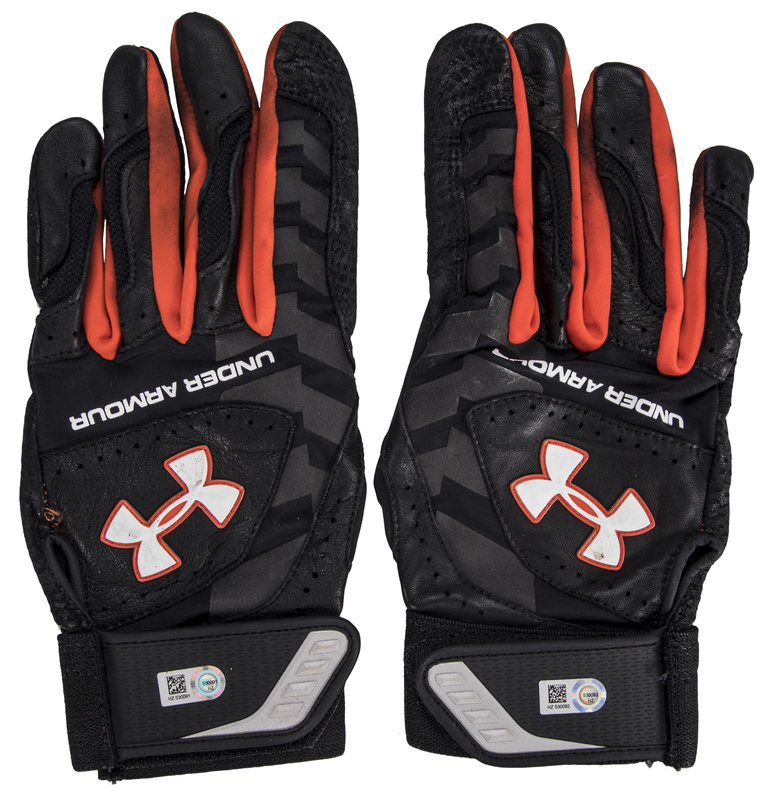 The Under Armour batting gloves are black with orange accents on the fingers. 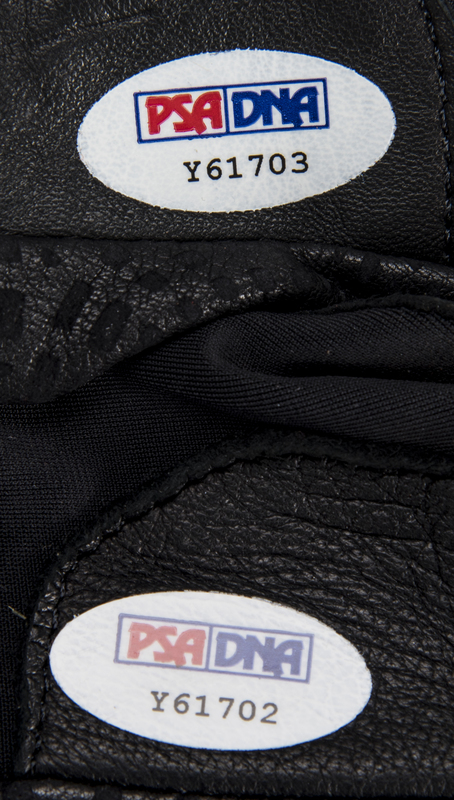 A white and orange Under Armour logo is applied to the top of each hand. 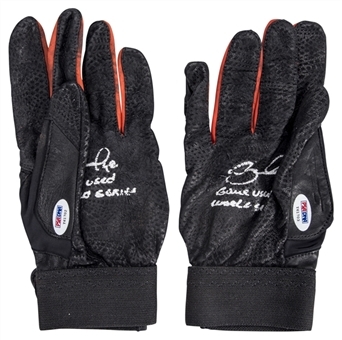 Sandoval has signed the palm of each glove in silver marker, inscribing “Game Used World Series” below each signature. 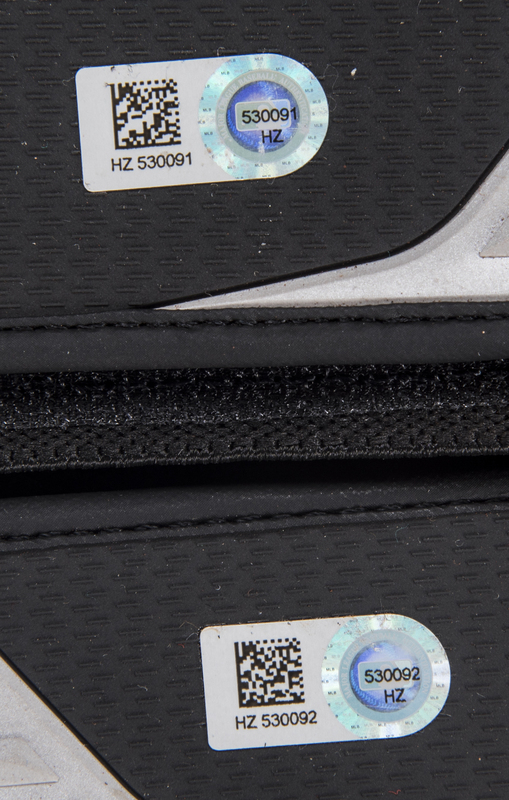 Each glove comes with a STICKER ONLY from PSA/DNA (Y61702 and Y61703) while a MLB Authenticated hologram (HZ 530091, HZ 530092) on each glove states that the gloves were presented to a bat boy after the bottom of the fourth inning.